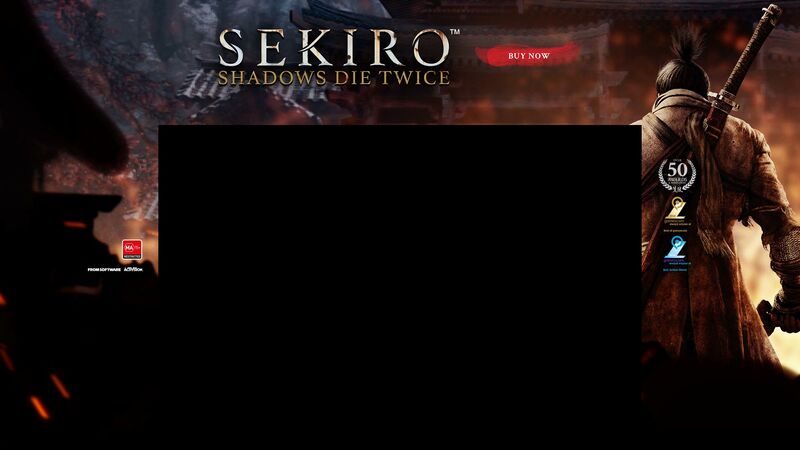 The long-awaited release of Sekiro: Shadows Dies Twice is here! At first glance, you may start to reminisce about the Dark Soul series, the world class series from the same developer, FromSoftware. However, once you start to unpack the game, you will discover unique mechanics that force you to think about each decision you make. Your actions, and more specifically the ability to resurrect, impact the game in ways that encourage you to think about your next step. In Sekiro: Shadows Die Twice, you have to think about the path you take. Do you take the easy road? Or do you go back and learn from your mistakes? Pushing each time to do better than the last. You will wrestle with this from beginning to end. So, thanks to Activision, to help get you started we have compiled our five best tips to surviving Sekiro: Shadows Die Twice. Explore! The obvious path may not always be the right path. The more you play this game, the more it will feel like you are learning a different culture and genuinely becoming the one-armed wolf. At times, it may seem very straight forward to grapple across to that rooftop or drop down and stealth past an enemy. This is not always the case. Whenever you are faced with a figurative fork in the road, simply look around. You never know what tree you may be able to climb, or wall you may be able to hug. Each path can lead to different clues, which leads us to our next point: Eavesdropping. The eavesdropping mechanic is something I have not experienced much in games. Outside of set up quests or forced storylines, Sekiro adds a new layer to gameplay with eavesdropping. Whenever you get the chance, listen to your enemies' conversations. You will be prompted on the screen when the option is available. Listening to your enemies' conversations can reveal things about the game you didn't previously know, or, develop storylines that simply immerse you more in the story. Most importantly, they can reveal weaknesses that will help you with a certain boss fight or progressing through the game. Knowledge is power. Stealth is the single most important aspect of the game. Most AAA titles in this genre focus on combat. In Sekiro: Shadows Die Twice, stealth is one of, if not the, most important mechanic. The game forces you to develop a more calculated playstyle. Do you take this enemy first? Should you push to a different position to allow you more time? All of your decisions add up in this game and stealth can help you every step of the way. We know you want to charge in with your Katana and slice and dice the enemy; playing like that will only get you so far. Sekiro requires you to think about your approach at every turn. This is especially important when initiating a fight. Use the stealth mechanic to your advantage wherever you can. Posture is an interesting mechanic introduced in Sekiro: Shadows Die Twice. Both you and your enemies start with a certain level of posture which decreases or increases during fights depending on your actions. Posture acts like composure. Those boss fights where you start dodging manically trying to reset and start again? They will not work for you in Sekiro. Like the hero you are playing, you must keep it together to eliminate your enemies and progress through the game. The best way to decrease your enemies' posture? Deflection. A good defense leads to a good offense. As we said before, games of this genre tend to focus on the evasion and battle mechanics. In Sekiro, these mechanics will be important; however, not as important as your deflect and defensive abilities. Don't be afraid to run loops of a certain stage to master your deflection abilities. Like charging in and hitting your enemy as fast as you can, dodging will only get you so far. Mastering the art of deflection will weaken your enemies and open up opportunities for you to go on the offense with your perilous attacks. The deathblow that will take down your enemy in one swift strike. 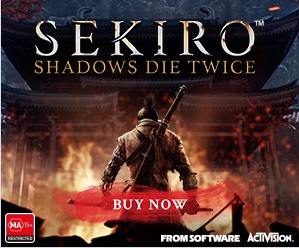 There you have it, just a few tips to get you started in Sekiro: Shadows Die Twice. This game will truly challenge your thought process and force you to think about the game in ways we had not considered before. Do not go into this game thinking it will be easy. Sekiro: Shadows Die Twice is an extremely welcome addition to the action-adventure genre that will have you re-thinking the way you have played most games before. Be sure to keep checking back as we add more guides to helping you beat Sekiro: Shadows Die Twice.